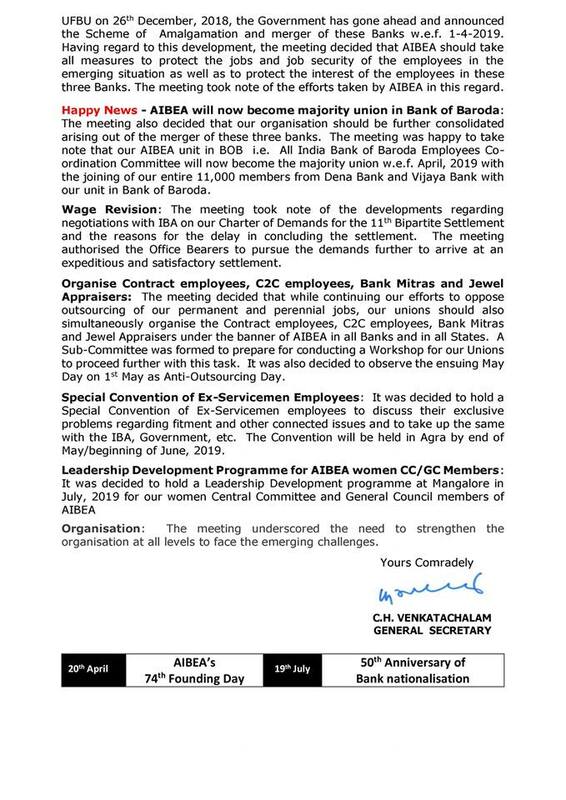 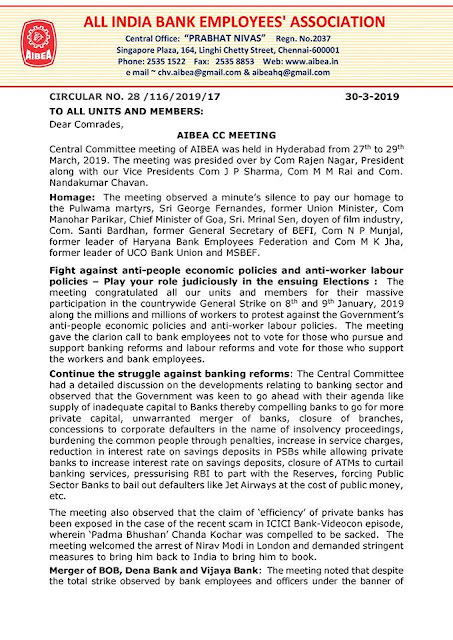 All India Bank Employees' Association (AIBEA) has declared happily that they own the majority membership in newly merged Bank of Baroda, Vijaya and Dena Bank. 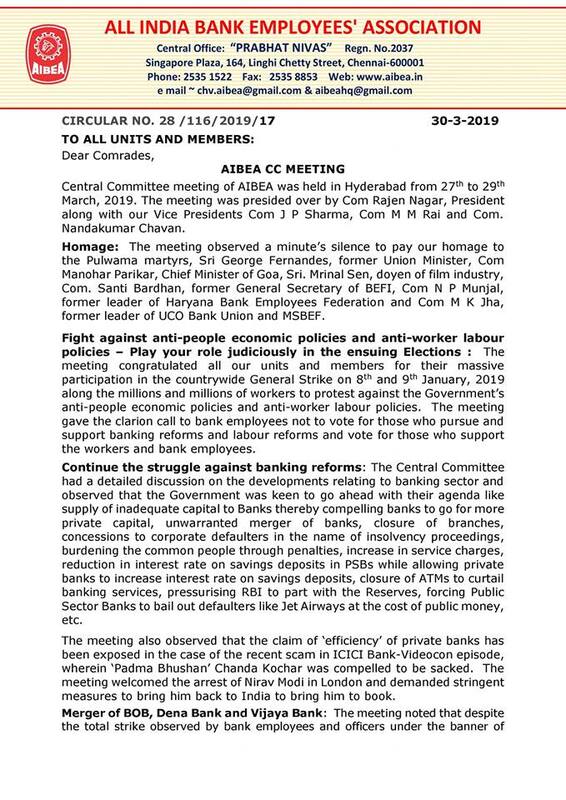 There was a meeting held at Hyderabad for discussion on various agenda. Check out the Minutes of Meeting !